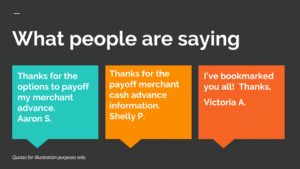 How can you payoff a merchant cash advance? Escape your merchant advance by paying off the balance and terming it out much longer. Terms from 6 or 9 months and all the way out to 36 months or longer. Join thousands of businesses who have paid off their merchant cash advances. which includes Computer, medical, industrial equipment and machinery. to term the balance off to 24 months, this will significantly reduce your monthly payment compared to what your business was paying. If you took out a $25,000 merchant advance for 6 months you were paying around $248 per day, or $5,457 per month. By terming the financing out to 24 months, you will reduce the monthly payment to $1,562 per month, which is only 28% of what you were paying. If you go out 36 months, you will reduce your payment to $1,083 per month, 19.8% of the amount you were paying. This difference will make a dramatic positive influence on your cash flow. How do I payoff my MCA Merchant cash advances? What is a an MCA Merchant Cash Advance Payoff? My MCA Merchant Cash advances are killing me. These MCA merchant cash advances are killing my business and going to force me to close my business. How can I save my business from these MCA’s? These financing products all payoff MCA merchant cash advances. The payoff is through a consolidation that lowers your daily payment at least 40% or more. Start now. – Help me payoff my MCA Merchant Cash Consolidation. Help my business get out of my cash advances. Some customers call in, skip the questions, and just ask us to do consolidate advances. All of these requests fall into the same MCA consolidation relief product. For immediate Release – Tucson belt company pays off merchant cash advance with 1 loan. If you are a business owner that took out a short term cash advance and are saying any of the following things or questions below, contact us today to get cash flow relief. Callers will say they need to get out of a merchant advance to help payoff a merchant cash advance. Other callers say they need to escape a business cash advance. 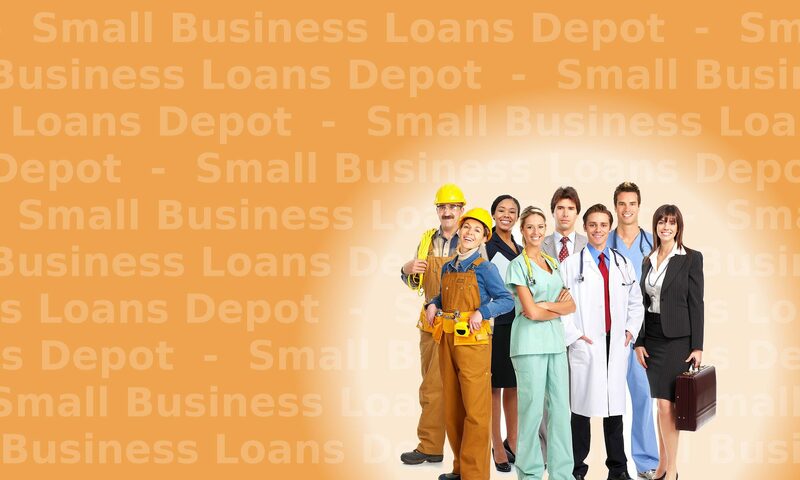 Many businesses will admit they can’t handle our business cash advance. They will specifically say: We are trapped in a merchant cash advance. The message is always similar in that business owners tell us they are trapped in a merchant advance. You will only need to complete a short 1 page Mini app and provide an equipment list which can be completed online. The approval process takes 1 – 3 business days. If you are approved, the closing documents may be E-Mailed to you or completed online. You complete them and return the completed documents via fax. 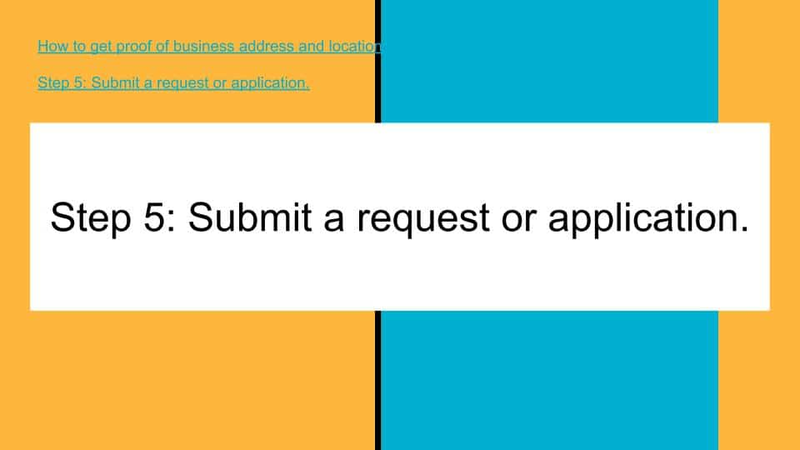 A verbal verification call is completed with you and you receive funding within 1 to 2 business days afterwards. Previous PostPrevious How ugly will the next debt ceiling fight get?